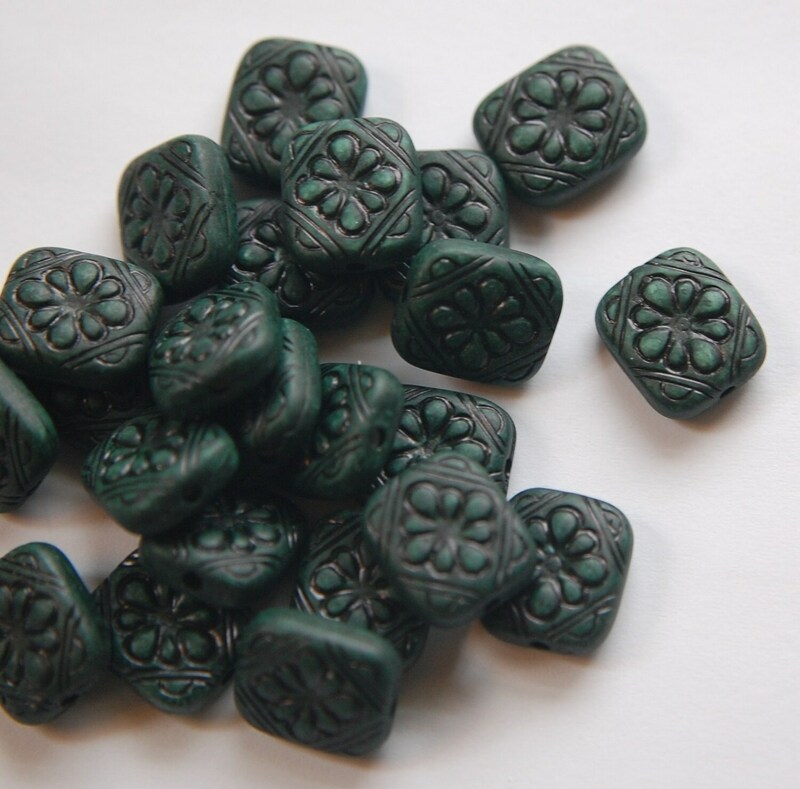 These are very sweet vintage style etched beads. They have a flower design on both sides of the bead. 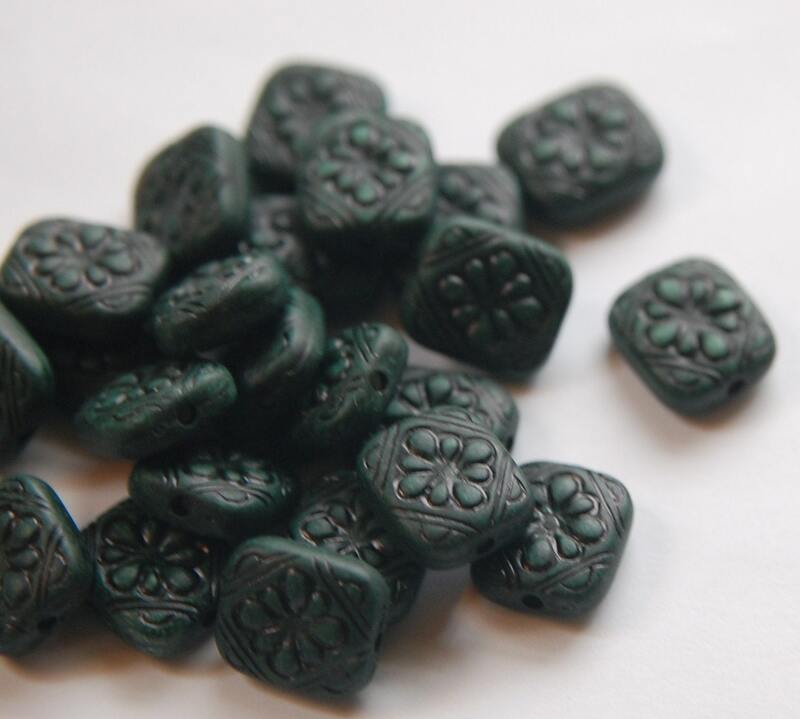 These beads are a dark green. The bead measures 13mm x 10mm. You will receive 10 of these.